Improved methods of reading and writing images to word documents. The wide spect of samples C#/VB.NET of working with word documents DOC, DOCX, RTF. The updated component with extended set of RTF tags. Fixed HTML reader. Added special textruns. Speed up of HTML reader. Table properties are reworked. HTML read and write methods. Read Word functions are not available. The word document can contain the text data only. 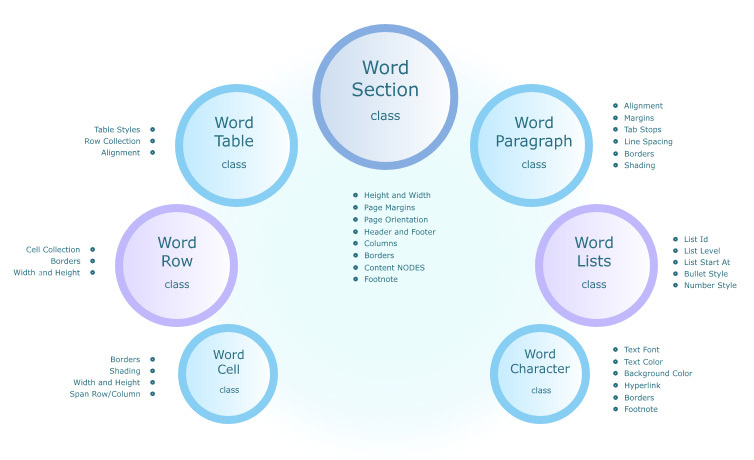 A developer can create tables, paragraphs and textruns only. Free version of Word Textron .NET component can be used for any purposes, including use in commercial applications. It is required to acknowledge in applications that the component Word Textron .NET Free version is used for specific purpose. Word Textron .NET Free component. Code Examples are a practical way to quickly learn the basics and advanced level features of Word Textron .NET component.